With Halloween approaching, there has never been a better time to settle down with Netflix and get spooky for a few hours with a horror movie or two. But currently, with Neflix’s apparent strategy of “quantity over quality”, that leaves you to sift through all of the garbage horror movies in your queue to try and find something decent. That’s a lot of work, especially when it comes to horror movies. Bad horror flicks are a dime a dozen, it’s a genre full of low-budget knockoffs, boring retreads and uninspired studio efforts. These are the kinds of movies that focus on dull color-pallets and jump scares instead of attempting an authentic horror experience. Netflix is undesirably full of these types of movies, but don’t give up yet because Netflix also has its fair share of incredible hidden horror gems. These are movies the average horror fan may have missed but are definitely worth checking out. Detailed below are ten hidden horror gems currently streaming on Netflix at the time of this writing. One thing every true horror connoisseur knows is that you can’t be afraid to go foreign. A true testament to this mantra is the 2016 Persian-language horror film Under the Shadow. Directed by Babak Anvari, Under the Shadow is set in a tumultuous post-revolutionary 1980’s Tehran. The film mostly follows former medical student and current full-time mother Shidah along with her young daughter Dorsa as they attempt to lead normal lives with an increasingly dangerous war encroaching on their home. But, they soon discover that the war may be the least of their worries as their home gradually becomes host to inexplicable and potentially supernatural horrors. 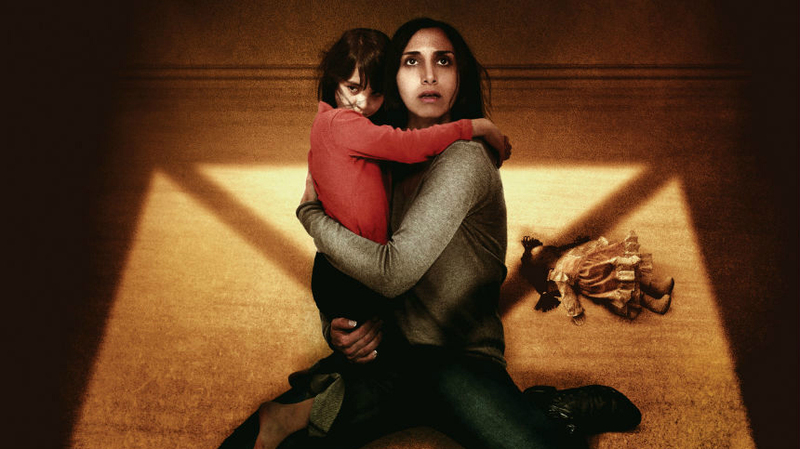 Under the Shadow has a lot in common with the fantastic 2014 horror film The Babadook. It is not only about the looming threat of supernatural danger, but also the straining exhaustion that is placed on a single parent. This psychology between mother and daughter grounds the horror in a crushing reality and watch as Shidah’s state of mind degrades with the very real challenges she faces each day. As her nights become sleepless, the audience, along with Shidah herself, wonders if the inexplicable horrors on display are internal or external. Under the Shadow shifts from family drama to haunted house horror so subtly and masterfully that it can be hard to tell when exactly the change happened. But when things do change, what’s left is a thrilling horror film with a unique element of supernatural folklore western audience aren’t typically exposed to. 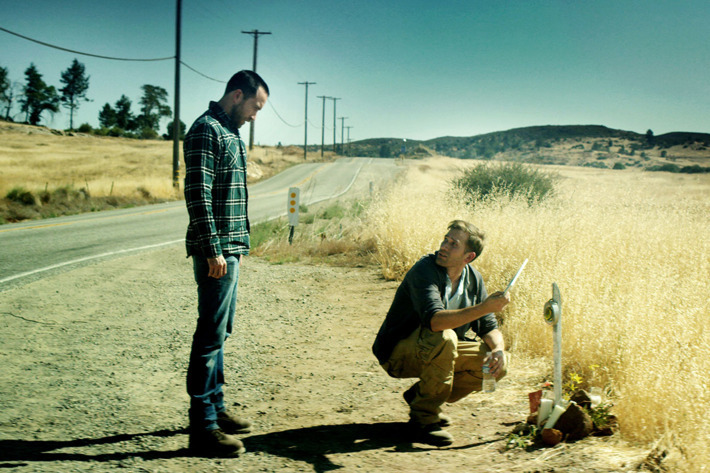 The latest film from micro-budget horror heroes Justin Benson and Aaron Moorhead, The Endless is the trippy adventure into indie sci-fi horror you didn’t know you needed. The film follows brothers Justin and Aaron (played by Benson and Moorhead respectively) as they return to Camp Arcadia, the home of the “UFO death cult” they escaped from in their younger years. Prompting their return, the brothers receive a mysterious VHS tape in the mail that proves the cult to be alive and well. Not only are they alive and well, but the members don’t look a day older than they did when the brothers left many years earlier. What they find upon arrival seems incredibly normal, if not actively pleasant. But after a few days pass, they soon realize that something strange is going on at Camp Arcadia and something insidious seems to be lying in wait just on the edge of comprehension. The Endless is a labyrinthine decent into cosmic horror. The film features a tight, twisty script and beautiful cinematography, which is made even more impressive by the way Benson and Moorhead were able to stretch their budget to make something that not only feels high quality, but also incredibly creative in the process. The limited visual effects that are present are used with dazzling ingenuity. Everyone on screen, including Benson and Moorhead, display a genuine authenticity in their roles which makes the horror even more impactful. As an extra note, The Endless is loosely tied to Benson and Moorhead’s debut feature Resolution and they work together flawlessly in whichever order you decide to watch them. If you’re looking for smart and inspired cosmic horror, look no further than The Endless. The Devil’s Candy, directed by Sean Byrne, is one of the most criminally underseen films on this list. Ethan Embry stars as Jesse Hellman, a struggling painter who purchases a secluded country home with a dark past and moves in with his wife and daughter. As is to be expected, the dark past comes back to haunt Ethan and his family in ways they could never have imagined. Throw in a hefty dose of devil worship, serial killings and a heavy metal aesthetic and you have the perfect recipe for an incredibly creepy joyride into hell. The Devil’s Candy works with a lot more subtlety than one might expect from its description. The film pushes an ever creeping air of unease throughout its entire runtime to great effect. It also opens up multiple potential avenues in which the horror may present itself to our main characters, smartly keeping the audience guessing until the last moment. This is a pure horror film to its bones and it feels like Byrne was influenced by some of the greatest in the genre. 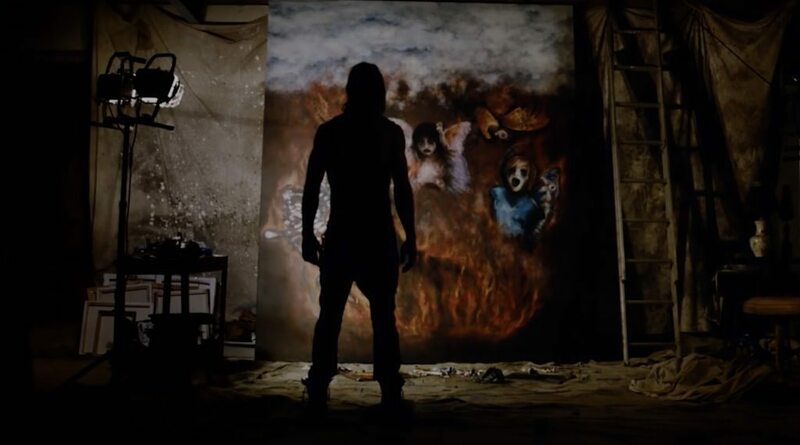 The Devil’s Candy feels like the movie Rob Zombie has been trying to make. An excellent mix of mystery, murder and metal, you will not be disappointed if you decide to check this one out. 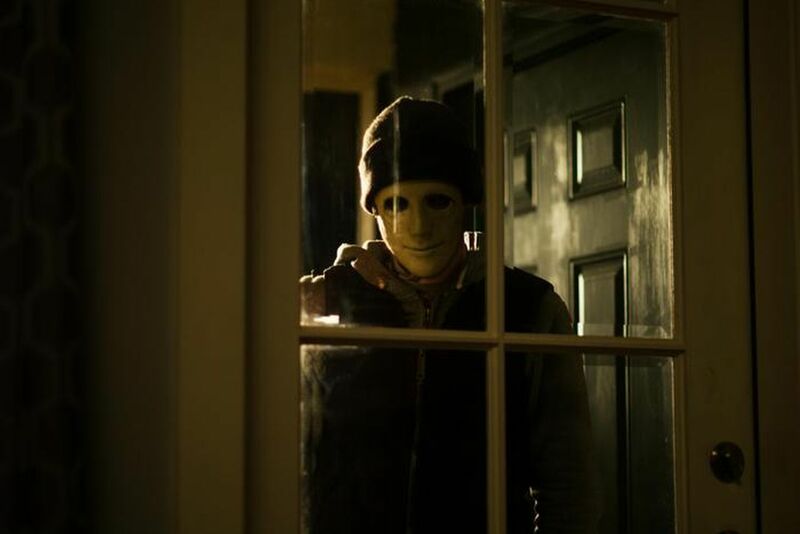 Produced in conjunction by Blumhouse and Intrepid Pictures and released by Netflix in 2016, Hush is director Mike Flanagan’s follow up to 2013’s surprisingly excellent Oculus. While Flanagan would go on to make the much buzzed about Stephen King adaptation Gerald’s Game for Netflix, Hush is where he really solidified his genre expertise. In Hush, Kate Siegel (who also co-wrote the film) plays Maddie Young, a deaf author living alone in her house secluded in the forest. Her life of peace and seclusion is soon uprooted one night when a masked man emerges from the woods, out for blood. The film takes place during this one night and functions as a The Strangers style masked intruder slasher/thriller hybrid. However, what sets Hush apart in this relatively oversaturated subgenre is the craftsmanship on display. Flanagan directs each scene with a quiet intensity, letting the audience see from the get go what exactly is happening and allowing the true horror to stem from a fear of what we know but our protagonist does not. Maddie being a deaf character could’ve easily felt like a cheap ploy, but rather her deafness is used as an integral plot device and conduit for the horror. Hush uses silence as a weapon against the audience, making tense moments even more so due to the vulnerability of the hero. The film is smart, pretty, fast-paced and perfect for a chilly October night. If you’re looking for a good intruder horror film, Hush is one of the best. 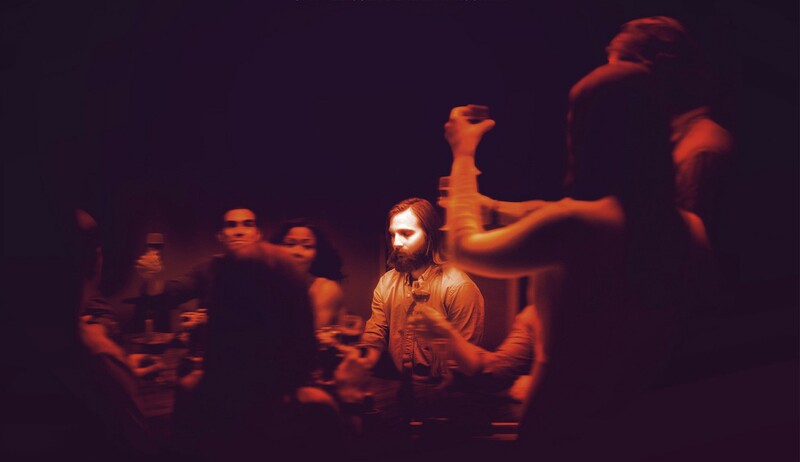 The Invitation, directed by Karyn Kusama and starring Logan Marshall-Green is a film that crawls under your skin and stays there. Will (Marshall-Green) and his girlfriend have accepted a dinner party invitation from Eden and David, Will’s ex-wife and her new husband. Estranged from Eden and his old friends for a long time, Will decides it is time to bury the hatchet. At the party, all of his past memories and traumas come back to Will in an instant. And if that wasn’t enough to deal with, something seems incredibly off about his ex-wife and her new husband. As motives are revealed and mysteries slowly begin to unravel, Will’s situation becomes increasingly dire. But is it all in his head, a remnant of the past trauma? Or is there something much, much darker going on? In the very beginning of the film, on the way to the party, Will hits a coyote with his car and decides to put it out of its misery and finish the job. This efficiently sets the tone for the rest of the film. The Invitation is a horrific and dark examination of how past traumas tend to define not only how we see ourselves, but how to world around us perceives who we are. It is a film about how extensive such damage can be and the various unhealthy ways we choose to cope. It is also really damn scary. This is one of the most flat-out unsettling films on the list. The performances are incredibly natural, scenes and dialogues are presented almost as if they were in a play and this adds to the horror of it all. The audience feels like a quiet observer, watching old friends get back in touch but noticing, ever so slowly, that something is not quite right here. If you’re really looking to get spooked, The Invitation will get you there.